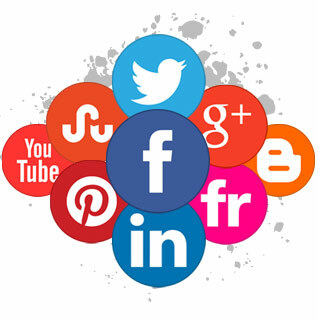 Social Media Marketing is the newest and most effective method of online branding. Like it or not, the Social Media giants of the world are not going anywhere. Every day, the average person spends a considerable amount of time on various Social Media platforms. As a Social Media Marketing company, it is our job to build a custom Social Media Marketing plan that caters to your businesses unique needs, and caters to your unique audience. Just like Search Engine Optimization, there is no successful “cookie cutter approach” to successful social media marketing. Whether you are a Five Star Restaurant, a Sports Apparel Company, or an HVAC company, SJS Digital Consulting will make your social media marketing goals a reality. Social Media Marketing goals: Realized. We go beyond a post on Facebook and get your business results. As with any marketing tactic, it is only as good as it is proven. Social Media Marketing is no different. SJS Digital Consulting provides advanced metrics that allow you to track a return on your investment. Our platform allows you to track your reach online reach, and leverage that information to repeat your success while also improving weaker tactics. While there is no “fool proof” method, we work with you to put together a plan that incorporates appropriate avenues of publicity for your business. This is custom fit to cater to your target audience. We look to see where your potential customers are spending their time online, and we go there. We put your message in front of them, and we get you business. If you want to discuss how SJS Digital Consulting can help you reach your Social Media success, you can schedule a meeting with us and either discuss your needs via video conference. Or, if you are in the Philadelphia and Southern New Jersey area, we can schedule a face to face meeting.